Children are very precious. They captivate us by their cuteness and their curiosity of the world. Almost everything has to be put in their mouth regardless of whether it was on the floor or not. The curiosity of children can be dangerous if left unsupervised. Children’s curiosity is why we do not allow children to drive cars, airplanes, boats, or shoot guns without supervision. The law is set up to protect children from accidents associated with dangerous activities or objects. Every year there are many children who are killed accidentally by a gun. They shoot themselves or another child. The Florida Legislature passed laws designed to prevent children from obtaining weapons without their parent’s consent. The laws apply to weapon dealers as well as non-dealers. This group of people is comprised of individuals who are looking to sell off some of their weapons collections because their wife told them to sell it or they are looking for ways to come up with enough money for this month’s rent. Whatever the reason behind selling the weapons is, it is illegal to sell weapons to a minor without the parent’s consent. (2) The weapon went to a minor without the consent of the parent or to a person of unsound mind. A person of unsound mind is not defined in Florida Statute 790.17. When a term is not defined, Florida courts apply the plain and ordinary meaning to the term. This can be figured out by looking at a dictionary. A Florida court referenced a legal dictionary on the term of unsound mound and explained the individual is a person “who from infirmity of mind is incapable of managing himself or his affairs[. ]” See Jones v. Williams Pawn & Gun, Inc. Insane people would fall into this category as well as mildly retarded people. A minor is anyone under 18 years of age. A person under age 18 can receive a weapon but the person giving the child the weapon must have the parent’s consent. If the parent consents to the transfer of a gun to the minor, the parent must hold onto the gun for the minor except for situations listed in Florida Statute 790.22. The weapons prohibited from being given to minors or unstable people are weapons and electric weapons. Both terms are defined in Florida Statute 790.001 subsection 14 and 15. Weapons can be tazers, knives, brass knuckles, swords, etc. A common pocket knife is not considered a weapon. Just like the term “unsound mind” was not defined in Florida State 790.17, neither is “common pocket knife.” The Florida Supreme Court tried to determine the definition by looking at the plain ordinary meaning of the term common pocket knife in a dictionary and also a Florida attorney general’s opinion. The Florida Supreme Court stated that a common pocket knife is a knife that folds in the middle, fits in one’s pocket, and has a blade no longer than 4 inches. See L.B. v. State. What makes this problematic still is that pocket knives come in many different styles that start getting closer to resembling weapons and not common pocket knives. A Florida court explained that a folding knife that had a hand guard and a notched combat grip was not a common pocket knife but a weapon. See J.R.P. v. State. Double bladed switch blades can be considered to not be common pocket knives also. See K.H. v. State . The statute prohibits persons from committing this crime which includes minors and adults. A minor who lawfully possesses a weapon or firearm could violate this statute by transferring it to another minor. Anyone who sells a weapon to a minor is guilty of a first-degree misdemeanor punishable up to 365 days in jail and a $1,000 fine. If you sell a firearm to a minor or to a person of unsound mind, you commit a third-degree felony that is punishable up to 5 years in prison and a $5,000 fine. This group of individuals knows weapons and the dangers associated with them. Dealers are held to a higher standard of operating their business in a safe manner. (3) The individual was a minor. Florida Statute 790.17 prohibits the sale of weapons and firearms to minors and unsound minded individuals but Florida Statute 790.18 prohibits the sale of weapons and firearms to only minors. This does not mean that a weapons dealer can sell to a person of unsound mind. Florida Statute 790.17 would still prohibit the transferring a weapon to a person of unsound mind by anyone operating as a dealer. This crime is a second-degree felony punishable up to 15 years in prison and a $10,000 fine. The crime is more serious because weapons dealers should be on the look-out for minors. If anyone breaks either of these laws, they can face criminal prosecution and a civil lawsuit if anyone is hurt. If anyone is injured by the weapon, it is considered negligence per se in a civil court. See Jones v. Williams; see also Tamiami Gun Shop v. Klein. 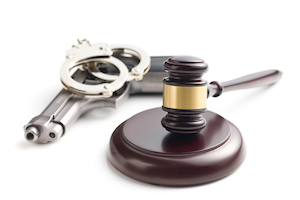 Our law firm focuses on criminal matters in the South Florida area. We help clients in dealing with crimes by aggressively defending them. Contact us today so we can get to work helping you or your loved one.